Let We Olive host your next private event. There are no booking fees, or rental fees. Our intimate dining area is cozy and relaxing. We can accommodate up to 27 comfortably seated. If you are looking for a larger event we can create a nice open house setting where your guests can move around freely. Give us a call to discuss details, and options today. 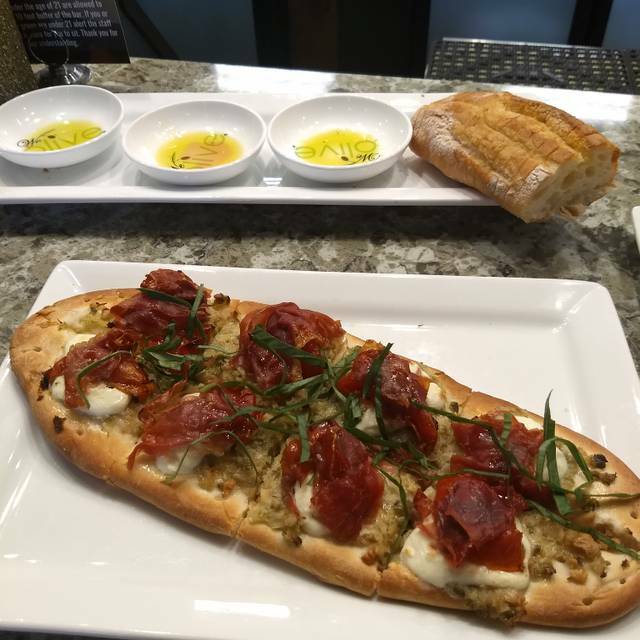 We Olive & Wine Bar features a small plate menu showcasing artisan extra virgin olive oils, balsamic vinegar's, and other gourmet food items that are available for purchase. The wine bar also includes a full wine and beer menu featuring unique domestic wines and locally crafted beers & ciders. My wife and I had a delightful dinner at We Olive. We tried the hummus and the charcuterie board for starters and they were wonderful. So many beautiful flavors, especially the breadth of olive oil flavors. Then we shared the Caprese Panini which was also very good. We paired all this with a flight of whites and a flight of reds. The whites paired better with this approach (i.e. no meat). The service was great too as they had lots of information to share about both the meal and the wines. We had the best experience there! Great wine and delicious food. Great wine list, great menu, and great service. A little pricey but still a great place to enjoy. The flatbread was amazing. A little pricey but I still love it. Service is great and the retail part is a good addition to the experience. I’m a big fan of the oil! It was their anniversary week, so there were lots of great food and drink specials. I thoroughly enjoyed my wine flight and my cheese plate. The only thing I wonder about is that I ordered a full glass of wine (pinot nouveau) after the wine flight, and thought it was awful. I drank it and paid for it, but did mention it wasn't good, and the server was like "yeah, that happens sometimes." The more I think about it, the more I think something was wrong with it. The wine was foamy around the edge, and looked more like juice than wine. The staff was very friendly and knowledgeable. The food was unbelievable!!! Definitely coming back. We went to We Olive because we were given a gift certificate. I was mostly disappointed by the ambiance of the restaurant. It reminded me of getting Pho at a strip mall. I love Pho at strip malls, but I do not pay $10-15 per glass of wine or $20 for an appetizer. We Olive is also an olive oil retailer. They have great oils and give samples, but I do not want to be on a date while someone is walking through testing Christmas gifts. 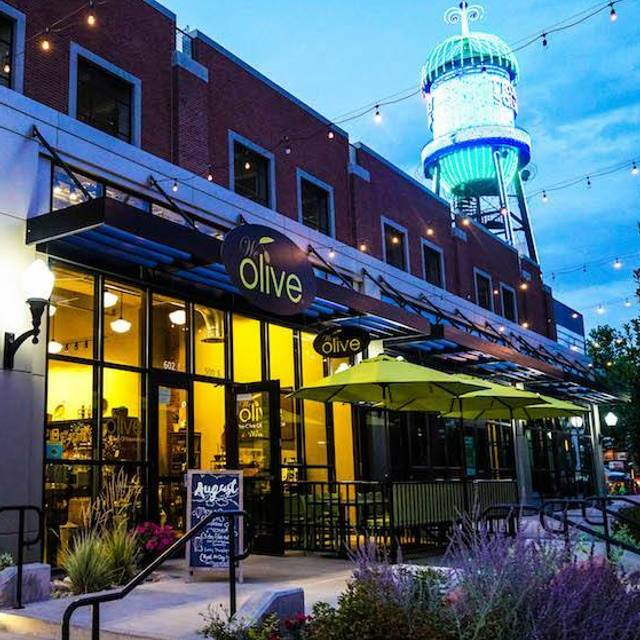 We Olive & Wine Bar is a very tiny eating place, located at Trolley Square. The are inside a cute Olive Oil store at the back. Food is very good and they offer local beer. I do recommend this place. I absolutely loved everything about this restaurant. The food was amazing, loved the atmosphere, the wine flights were such a fun thing to do and so was the olive oil and balsamic tastings. Can’t wait to go again. This place is fantastic. Great wine tasting menu, small bites, and limited entrees. They have a nice happy hour menu, and have wine specials. Friendly staff. Enjoyed tasting several olive oils and two lovely wines. Food (crostini and kale salad) was excellent. Highly recommended. Loved this place! Will definitely be back. The food, wine and olive oil were all amazing. Cheers! Nice informal wine and olive oil bar with good food and service. Small seating area so reservations always a good idea. Good music at a reasonable volume. and a very pleasant occasion. Good value. We Olive was great. The olive oils and vinegars used in the food the serve are for sale in the store. The service was great, wine and beer selection good. Great wine selection, good food, good service and amazing staff!